Greetings, scummers and potential adventurers! For gear, please use your class's average starting gold, which is the number in parentheses in the table below. Use your starting gold to purchase equipment and other items listed here. Which deity your character choose to worship does not have any mechanical impact on your character unless your character is a Cleric. If your character is a Cleric, please choose a deity. Please use Mythweavers site's character sheet functionality when making your character. (Sheets > Create > Sheets > Write in character name, Private character: No, Sheet Template: Dungeons & Dragons 3.5e) Then, please provide a link to your character sheet in this thread, along with a brief introduction and backstory leading up to the campaign! The forest town of Barrelsford seems like just another sleepy town that has seen better days. When a silver mine has been discovered in the area, Baron James Armsworth named it after his wife, Sylvia, and founded Barrelsford to reap the benefits. Few years ago, the mines had to be closed down when the miners dug into a cavern full of poisonous gas. The inhabitants now live by logging, farming, trapping, and prospecting where they can. The town’s major export is its barrels. They used to be in high demand at the mines to transport the ore; now, the barrels themselves are shipped downriver for sale. 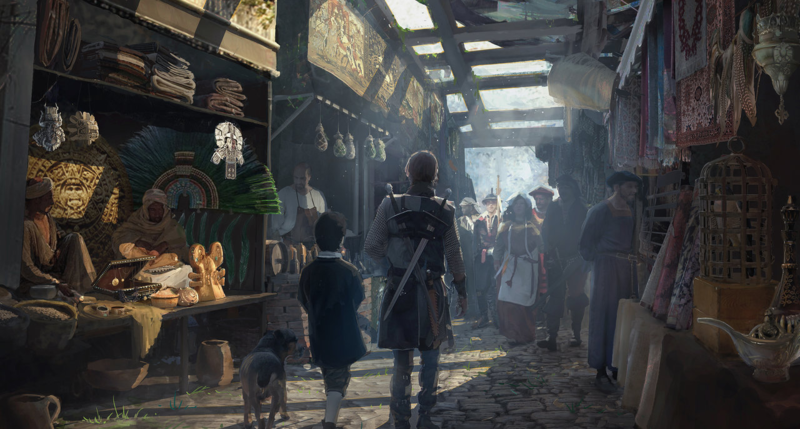 The town still provides the baron with a trickle of tax money, and the baron has honored his commitment to the townsfolk by maintaining a local militia. Please read through the adventure hooks and pick one for your character, and incorporate it into your backstory leading up to this adventure! Last edited by FakeGod on Wed Jun 07, 2017 4:53 pm, edited 25 times in total. Is this for a new campaign or will this join the on-going scummers game? The on-going scummers will play in a parallel but separate game. This party will be comprised of only newbie players. I can't be PALADIN ANDRIUS without CLERIC PINE so maybe I'll just be a highwayman or something. Maybe I'll invite someone too. Menno, I'm currently working on a Highwayman Rogue with some Face abilities, and am likely rolling with Hook C.
In post 0, FakeGod wrote: I am planning on running the sessions weekly from 10 AM or 11 AM (depending on my schedule) to 1 PM EST on Sundays. A note: I'm making a change to the Weapon Finesse feat. I'm removing the prerequisite, and also allowing Dexterity modifier to be added to damage rolls, not just attack rolls. I WANT TO PLAY WITH MARIA SAN! In post 10, FakeGod wrote: A note: I'm making a change to the Weapon Finesse feat. I am so happy right now I can't even. My Character Sheet is like 95% done, assuming I didn't mess up anything. I'm still deciding on a few things, namely since I'm almost broke if I buy the Thieves' Tools. But this should be enough to work with for the rest of you. I've dumped [Str and Wis] since I don't need that crap and Weapon Finesse makes me content with dumping Str to the degree I did. I've also gone with a more Social Rogue as well, so we do have a Face. Base Ref Save for Rogue is +2. Craven is not a feat from SRD. We won't be using it. Tymora is a deity from Faerun. Use one of the deities in the list above. Other than I think you're good, Andrius. I'll go ahead and put your token in the roll20. I don't recall editing the Ref Save but I fixed it nonetheless. Craven was a TO DO given it was great and came highly recommended, but I'll strike it from the WISHLIST then. Does SpyreX count as a deity? If I pay an extra 2 silver can I get another glass to go with my wine? I need a pair of glasses to be social, and if I'm drinking by myself I don't need a glass. If you log on to roll20, you should be able to see your character on the map now. Back Story: Hellion was a raised by two loving parents who had were originally training him to become a Fighter, before a raid on their small village left him homeless and alone at age 14. Parentless, young hellion found refuge in the forest to eventually become one with nature and training under his mentor, Cardon, who would teach him the druid arts. Hellion not being familiar with the arts was unable to comprehend some aspects of the druid life, instead stuck to his way of thinking and staying with much of his impulsive upbringing rather than finding center with nature as his mentor tried to enforce on him. Now grown up, Hellion seeks to prove himself a master of the druid arts and bring peace to the world. Feel free to send me PMs if you need help/have questions. The best way for me to walk you through filling out your sheet is through site chat, so try to find me there. I know spells requires slots and preparation/scrolls/memorizing so you may need to check in with FakeGod or Google regarding that. I don't recall Gnomes having a benefit to Skill/Feat selection, but most everyone starts with a Feat at L1 and it looks like you start with 20 Skill Points at L1 as well. ((2+3)*4). Also all of you casters are going to want to consider armor of some sorts since we don't really have a strong front line. Backstory: Erwin and his younger brother were the sons of a baker, but were orphaned at a young age during a gang war in the streets. He and his brother shortly began a life of crime. While his brother served as a tactician for one of the gangs, Erwin became a conman, excelling at infiltration, and sabotage, making a number of friends and enemies within the city as the demand for his skills grew. The Walsh Job was their last. Betrayed by a one-time ally, Erwin's brother died in the ensuing skirmish and Erwin is uncharacteristically silent on the subject of what happened that night. Severing his ties with the gold-obsessed gangs, Erwin seeks to forge his own fate and do good in the land between the letter of the law and the spirit of freedom without the law. Through his contacts, Erwin accepted a job from Baron Armsworth to deliver Alexander Armsworth from captivity, thankful for the opportunity to use his skills for a just cause. Note that I won't be pulling punches just because you guys are newbies.